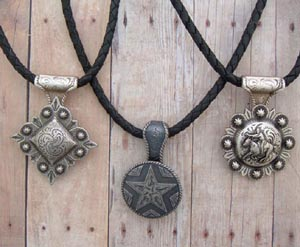 Western Jewelry Concho - Bolo Leather. 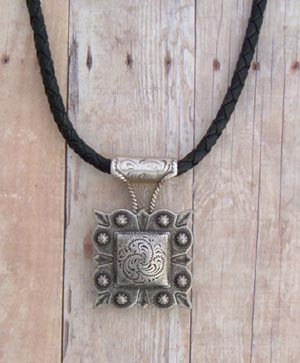 Nothing says it like a Southwestern style square concho. Simple in style but powerful enough to make the right statement! 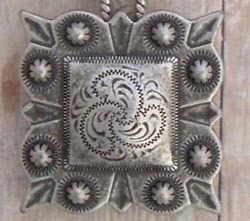 This square concho is the basis of Western couture! 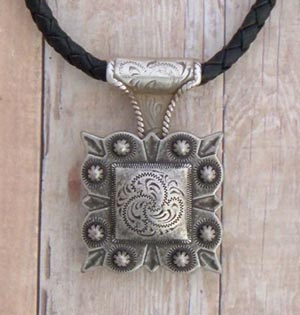 A must have for any Western Jewelry collection. 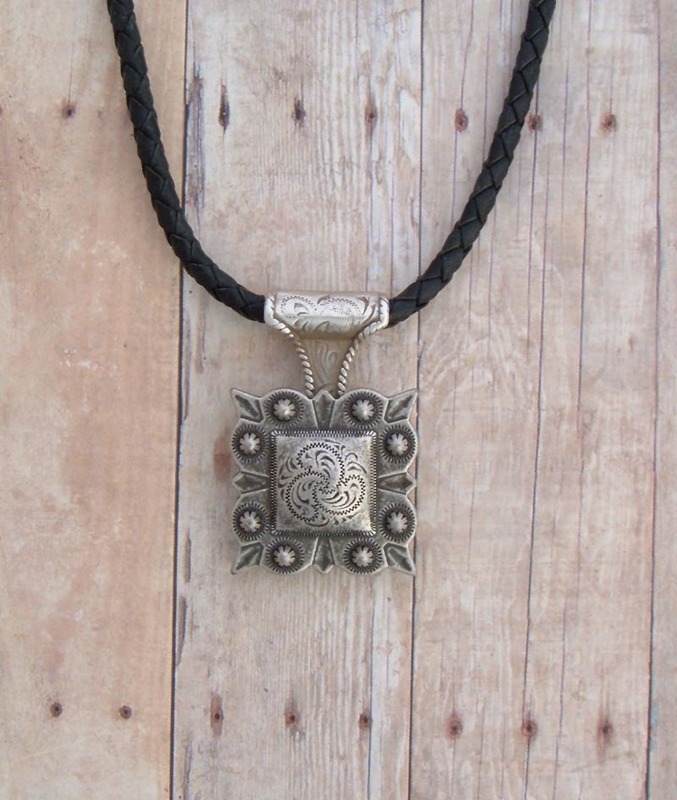 Concho can be turned at an angle for a versatile look. Necklace is black bolo leather, 18", with lobster claw closure and 2" extender. 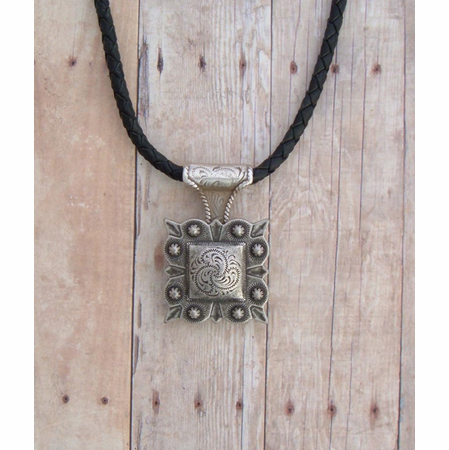 The perfect necklace for everyday and ever look.